Guy Eaker has a story for you. Like every great fisherman (Guy was inducted into the Bass Fishing Hall of Fame in 2011) he can spin a yarn as well as he can throw a line. Stop for a chat and he’ll tell you about his first big tournament in the 70’s and how nervous he was competing against some of the greats (he traveled 14 miles across Lake Norman to find the spot that won the day). And he’ll tell you about the time, back in ’92, when he fished with George H.W. Bush. “I might be the only person to pull a fish hook out of a sitting president.” For his efforts, Eaker was given a tour of Air Force One and remains in contact with “41” to this day. 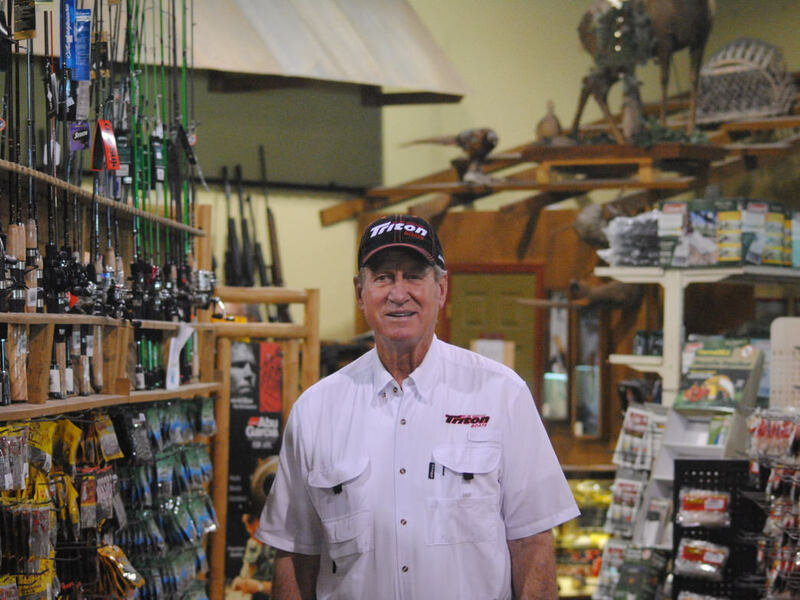 After a career that spanned four decades, Eaker is mostly retired from the pro fishing circuit. While he holds the distinction of local legend—he has been inducted into both the Cherryville and Gaston County Sports Halls of Fame—he remains an engaging and accessible ambassador in the community. Most days, when the occasional tournament doesn’t pull him away, Eaker can be found holding court at The Great Outdoors in his hometown of Cherryville, NC. Local anglers travel from hours away to get the Hall of Famer’s advice on reading lakes and choosing lures. But Eaker isn’t the only reason sportsman and women come to The Great Outdoors. 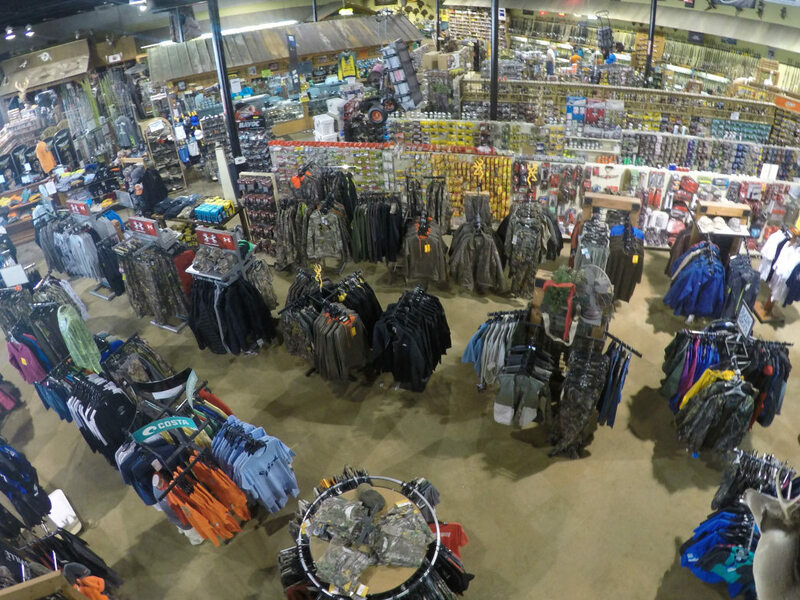 In a market filled with big-box, national chains, the 15,000 square foot store is a rarity: a locally owned and operated hunting and fishing shop that’s well stocked, expertly merchandised and current in trends. And that’s the key to competing in an ever more competitive space. TGO’s involvement in Gaston County extends well beyond the store’s walls. As area high schools began competitive fishing programs, they needed equipment—equipment that can be very expensive. The Great Outdoors offered fishing rods to help keep the young anglers afloat. Local fishermen take the high school teams to tournaments (rules state they’re too young to pilot a boat in competitions). And the store stocks locally made lures that are hard to find elsewhere. 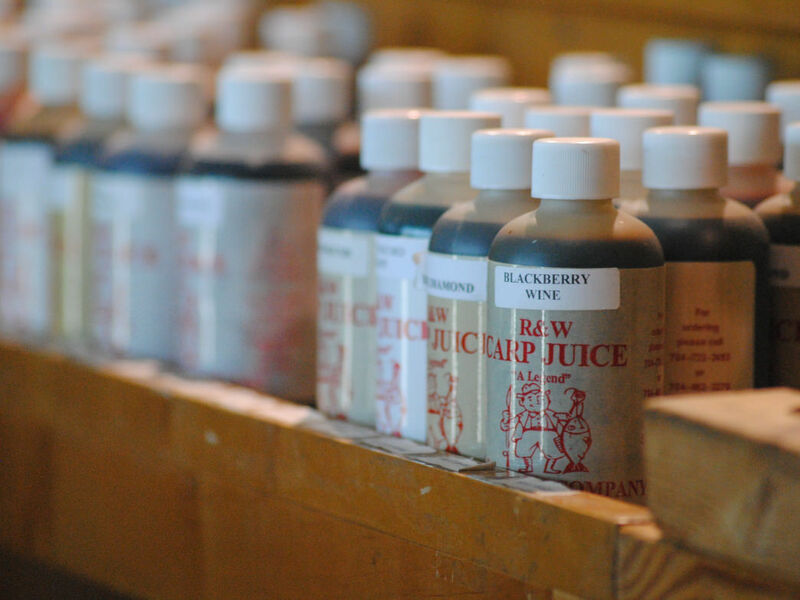 In fact, Wilson reckons that two of the best handmade lure crafters are located in NC (Shooter Jigs and E.R. Lures), not too far from the store. And The Great Outdoors offers them both. Knowing what’s popular with outdoor sportsmen is important, but it’s that local connection that sets the store apart. On any given day, you can expect to see a group of guys in the back, sitting on old office chairs, chewing the fat about everything from bass fishing to politics. Wilson, Beam, and Eaker might be there, but so will plenty of locals who stop in for a visit. Once you’ve sat a spell and picked up a bunch of local fishing knowledge, it’s time to head to the water and put it all to good use. 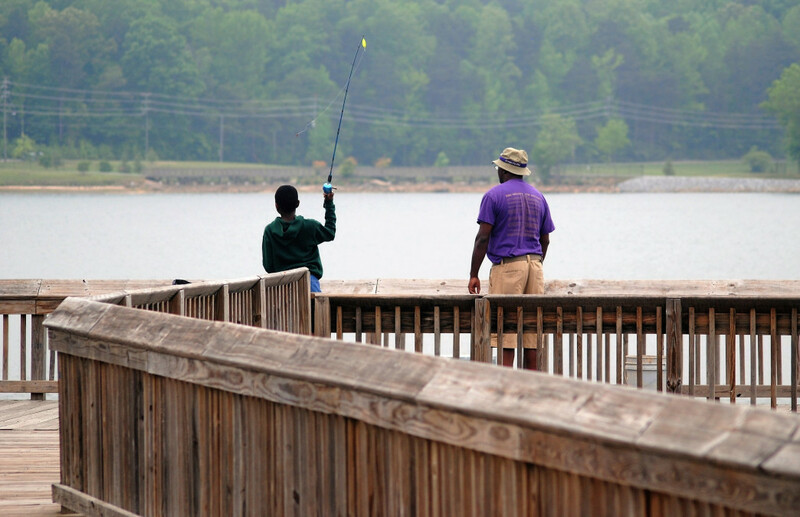 Luckily, Gaston County is centrally located for fishing excursions of all sorts. A short drive from Lake Norman (where many of the biggest tournaments in the area are held) and Lake Wylie (one of the best smaller fishing lakes in the country, according to Eaker), Gaston is a great home base of operations while fishing the area. 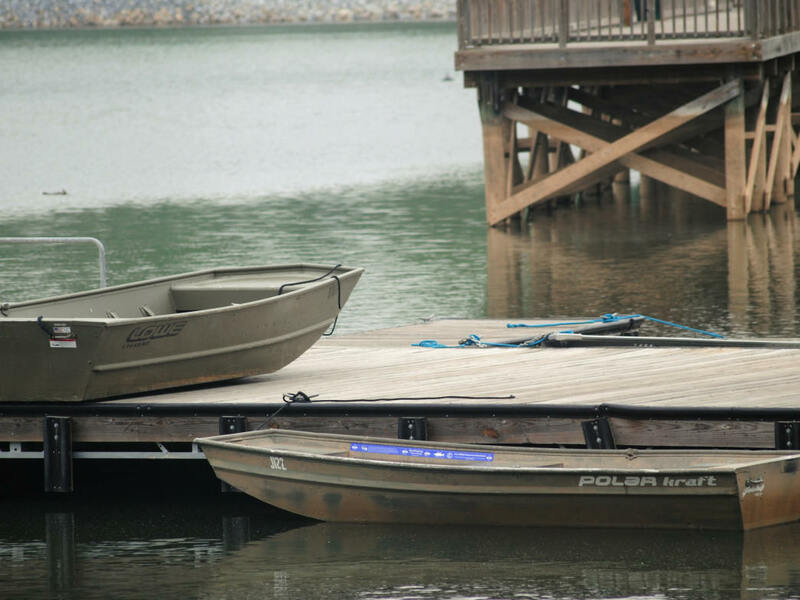 In Gastonia, the 80-acre Rankin Lake has two fishing piers and rents both kayaks and jon boats (with or without motors). 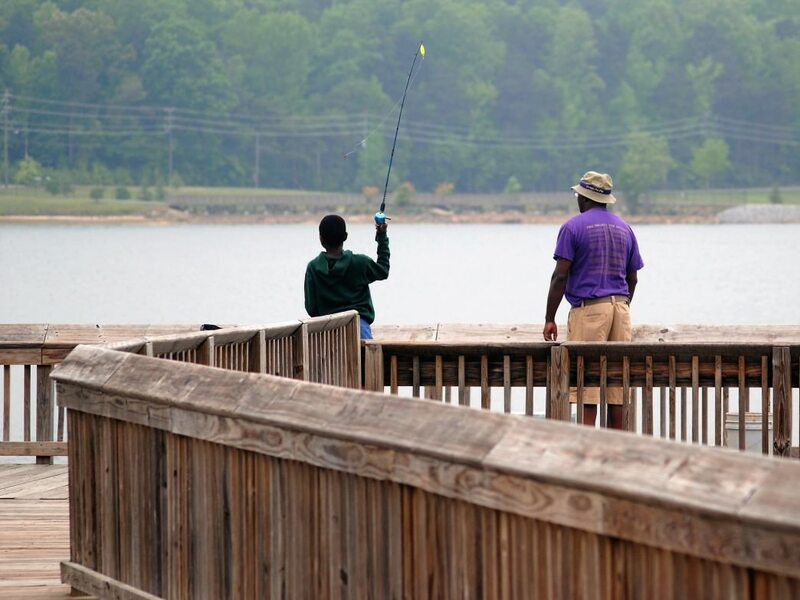 A little further southwest, the small lake at Crowders Mountain State Park is the perfect place to take little anglers for their first go at bluegill. The freshly minted Kevin Lofton Riverfront Park off Hgwy. 74 in Belmont has a boat launch to the Catawba River with easy access to Lake Wylie. Robinson Catfish Lake in Dallas, NC is the place to pull HUGE carp and cats. Regular tournaments keep it social. When you’re visiting Gaston County, make sure you save some time to trade stories with the guys at the Great Outdoors. They’ll save a chair.